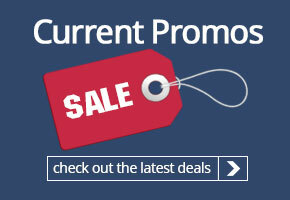 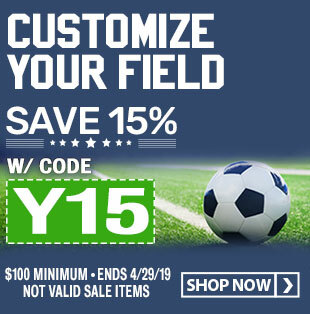 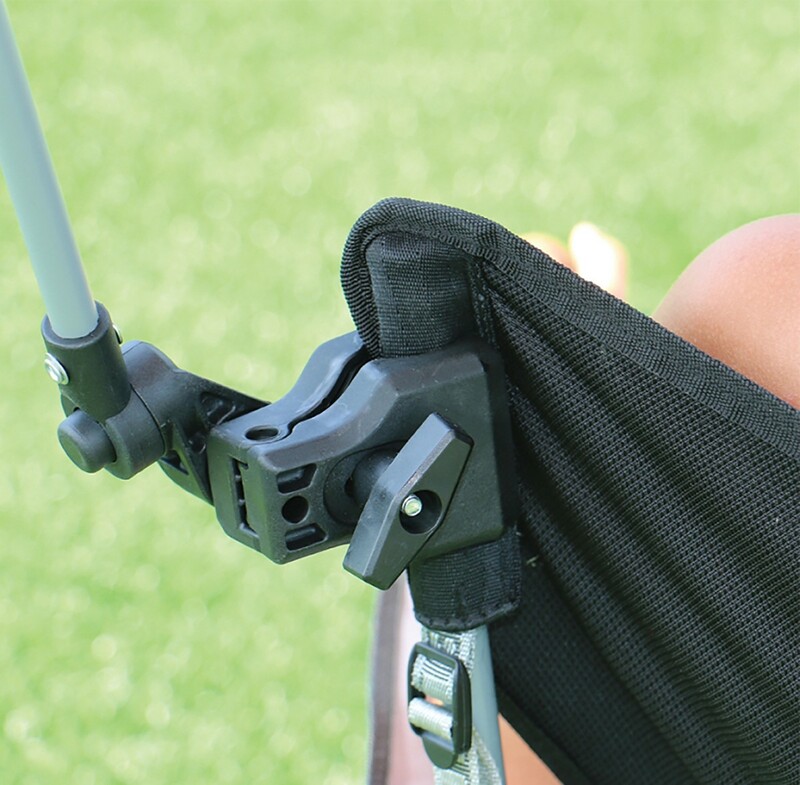 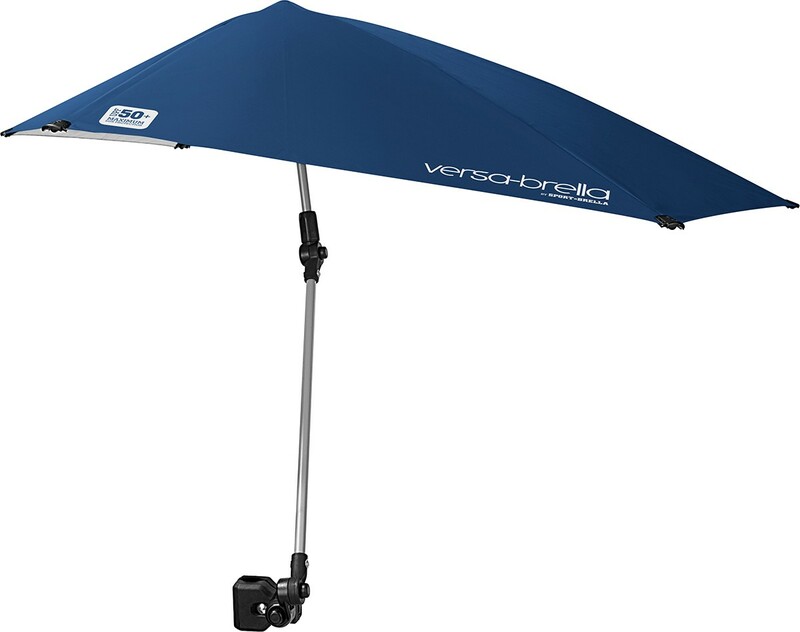 Securely attaches to items up to 1.5"
The SKLZ Versa-Brella is a stylish, patented umbrella with a convenient universal clamp allowing it to connect easily to chairs and other surfaces, both tubular and squared. 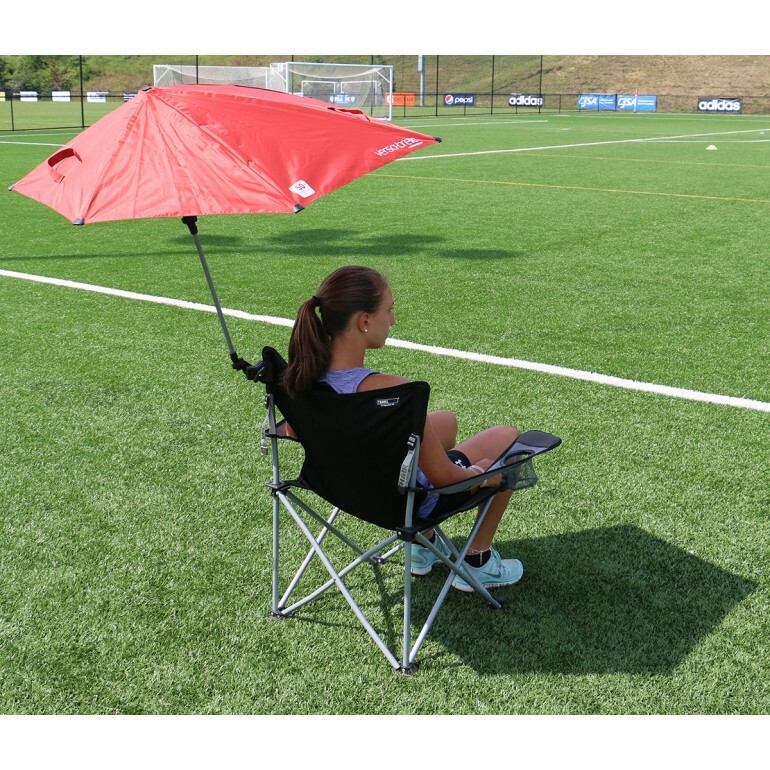 The heavy-duty clamp allows for 360 degree swivel for complete sun protection in any direction. 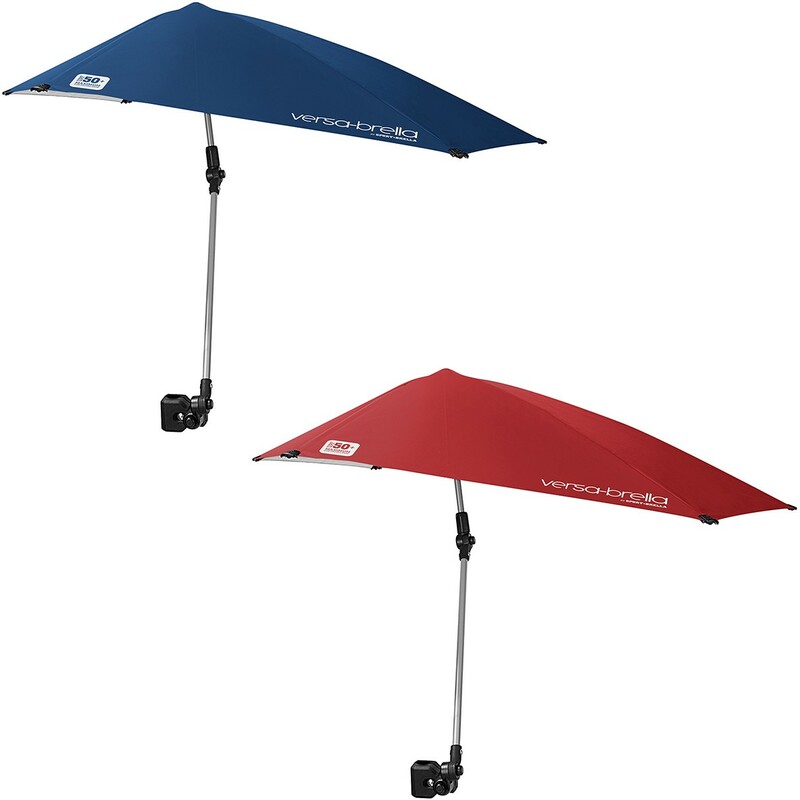 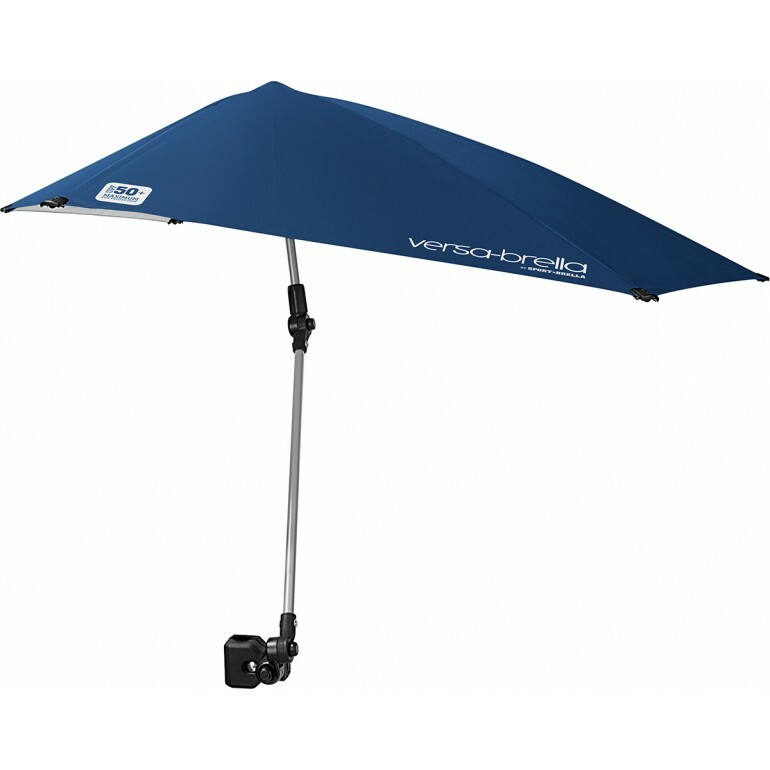 The sturdy, lightweight steel frame of the umbrella folds down easily and fits in its carry bag for go-anywhere use. 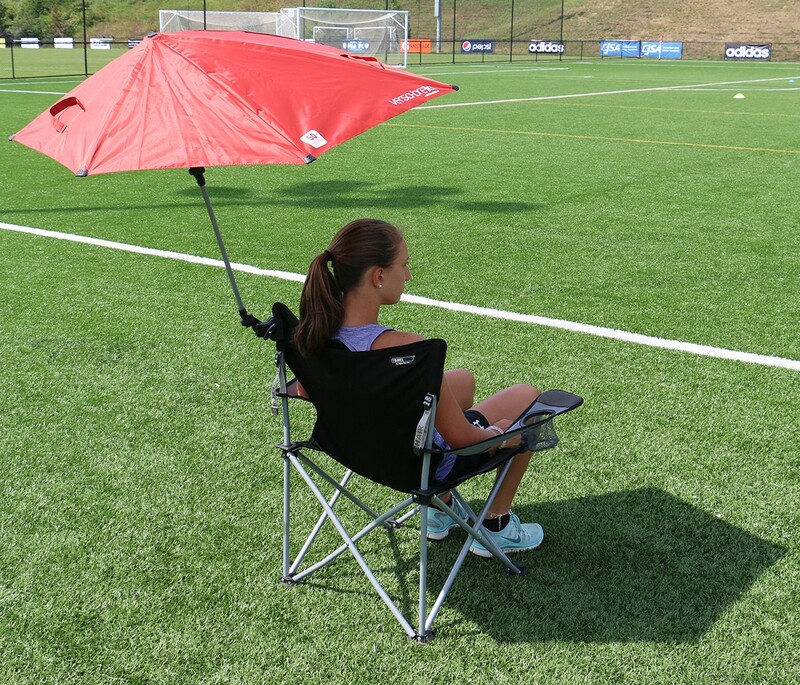 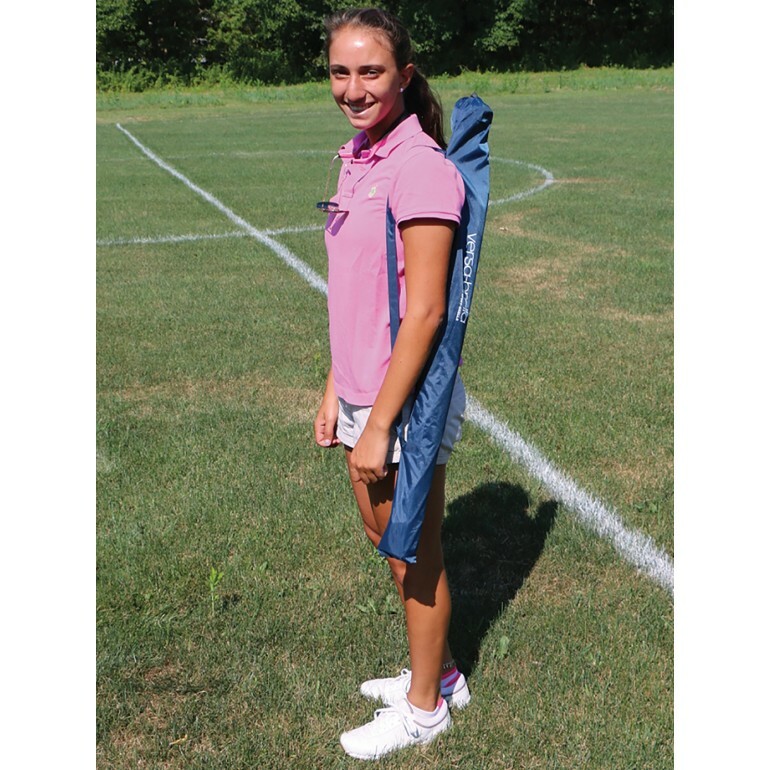 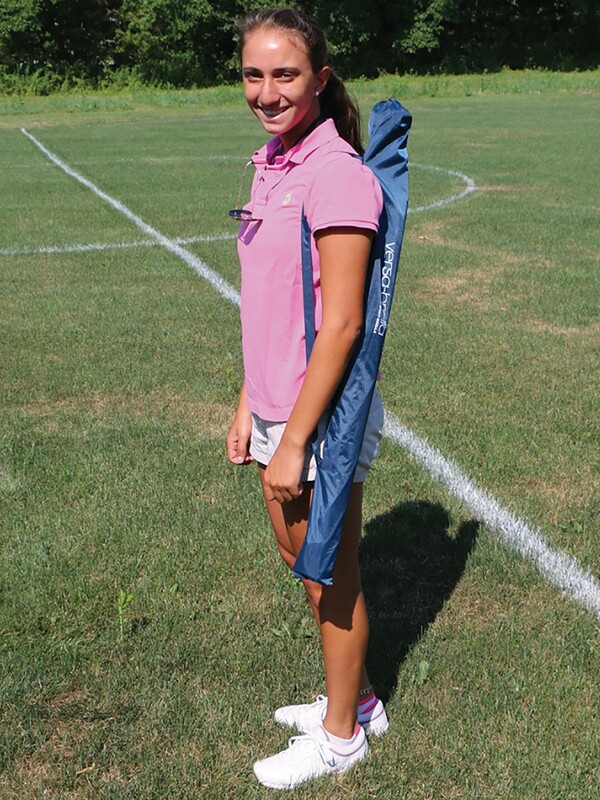 The Versa-Brella is a great way to keep sports parents out of the harsh sun at their kids games. 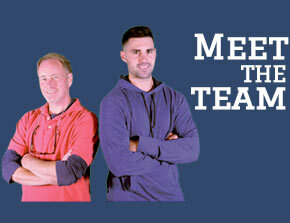 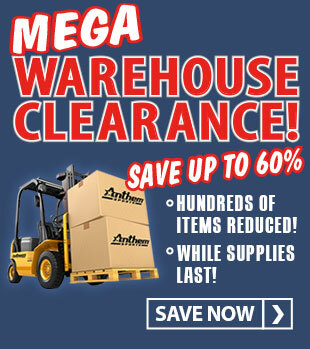 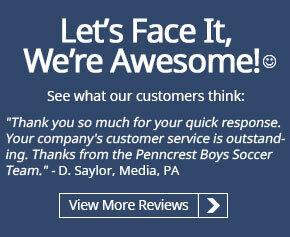 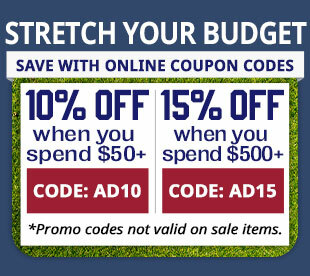 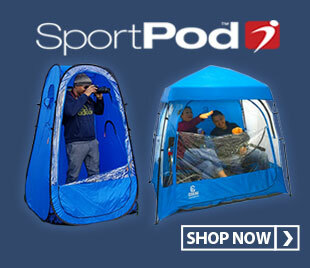 It is also great for tailgating, picnics and other outdoor activities.